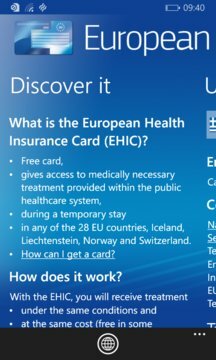 Guide on how to use the European Health Insurance Card in the 28 EU countries, Iceland, Lichtenstein, Norway and Switzerland. It includes general information about the card, emergency phone numbers, covered treatments and costs, how to claim reimbursement and who to contact in case you have lost your card. Available in 25 languages with easy option to switch from one language to another. Note: Card cannot be generated or downloaded for use. 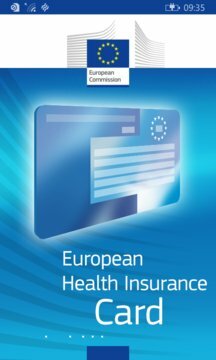 Cards are issued free by your national health insurance provider. It does not replace travel insurance.